The summer cottages are closed, and peace is settling over the coast of Vestfold, but the autumn fog conceals evil deeds. 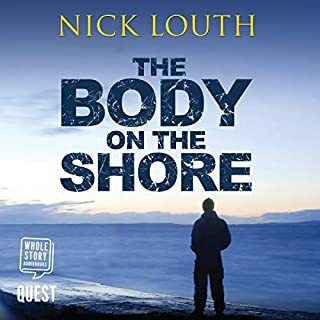 Ove Bakkerud’s cottage is ransacked by burglars, and next door he discovers the body of a man who has been beaten to death. Police Inspector William Wisting is uneasy; the desperation he sees in this latest murder is troubling. Meanwhile dead birds are dropping from the sky. 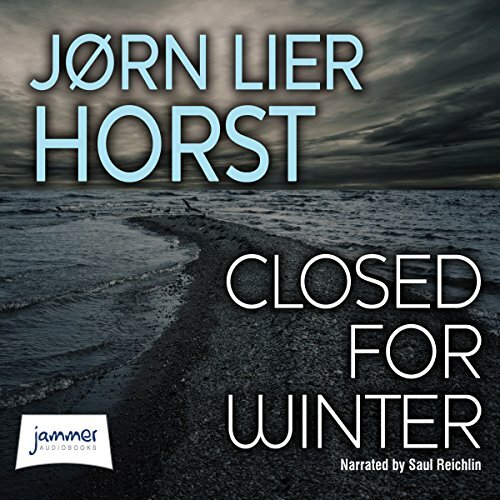 I enjoy listening to audio-books by Norwegian, Jorn Lier Horst. My first book by Horst was "Dregs" which I thought was a very good debut. This second book is just as enjoyable, with some reservations. 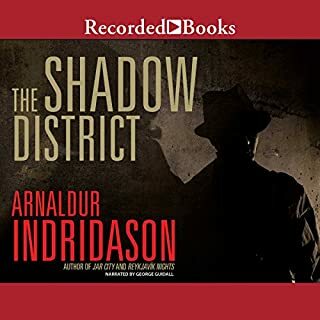 You can listen to these books in any order even though there is a recurring character, Inspector Wisting. I have researched Horst and discovered that he was previously a senior investigating officer in Norway. That makes sense because his stories appear to have lots of police procedural knowledge. I appreciate the numerous details about life in Norway. I see a great career for Horst and will use a credit for the next book. The narrator did a good job. My reservations include the realization that sometimes the police are slow at solving obvious situations (it involves birds), there are quite a few coincidences, and the Norwegian names and places require that I concentrate or listen to some sections twice. I ended up walking 2 extra miles today so that I could get to the end of the story. It was well worth it as there was a fun twist I wasn't expecting. Not as dramatic as Jo Nesbo nor as funny as jussi Adler Olsen but still a good solid believable detective story. 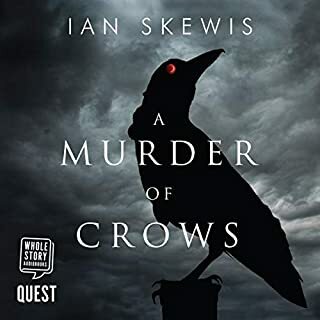 I highly recommend this audiobook; it is different than Horst's "The Hunting Dogs" and I found it even more enjoyable. The book jumps into right into the story; creating a palpable mood, setting and suspenseful start. I found the plot to be very creative, complex (clever) and believable (well thought-out). The level of suspense was dynamic: peaking, then ebbing, then peaking again; when the suspense was lower the compelling plot kept me listening keenly. The loose ends come together at a pace that allows one to relish the ending. The detective's internal thoughts on the investigative process, interviewing/interrogation, etc., are interesting and perceptive, to the extent that I can tell. I was not expecting the social issues that arose in a bit of a sub-plot, but I found them very much food-for-thought. 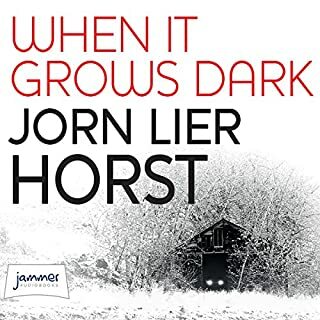 As background, I discovered Horst recently due to a sale or Audible recommendation. I listened to "The Hunting Dogs" first; I enjoyed it, but not as much as this one. It could be that I was just adjusting to the narrator and writing style; a bit more concentration is required to keep track of the Norwegian place names and Scandinavian names of people---especially when only listening (not seeing) them. However, I find that Horst is very much worth this small increase in effort. 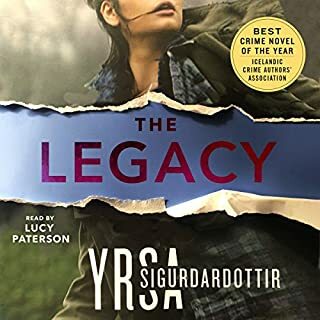 This could be the worst book I have ever listened to..
As anyone who has read my reviews knows well, I have often complained that poor narration can kill a great book, (eg: The Tourist). But what if it's appalling narration and a dreadful book? Could two negatives somehow combine to make a positive? Regretfully not. This book is written for someone who has never read a crime novel, seen a TV cop show, or seen any movie involving a sleuth. The author feels it necessary to tell us that "it's important the crime scene boys collect and label every possible piece of evidence.. Because you never know if just one small thing will hold the answer to the case"... Really, I never knew that, because I've lived under a rock my whole life!! Could not get past chapter 10. This was an awful book. As for the narration... Please.. Where did they find this guy.. He kept putting his intonations in the wrong place. The second book in the series finds Inspector Wisting called to the coast of Vestfold, where several summer cottages have been closed for the winter . . . making them easy pickings for robbers . . . Ove Bakkerud is going through a divorce, so he retreats to his cabin one last time, only to find it has been ransacked . . . and he can't even get the police out there until morning . . . seeing a light on in the next cottage, he decides to check on his neighbor, finding another robbery has occurred . . . as well as a murder . 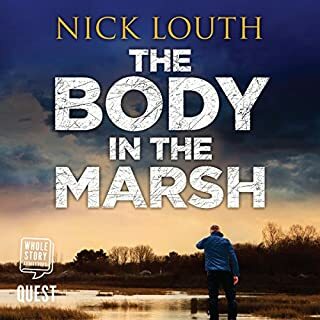 . . there are lots of twists and turns as Inspector Wisting and his team try to determine the identity of the murdered man, as well as his killer . . . and meanwhile dead birds continue to drop from the sky . . . Wisting's daughter, Line is now living with her ex-con boyfriend, who is running a restaurant . . . which is of concern to Wisting . . . I like the thoughtful, reasonable Wisting . . . he never goes off half cocked . . . and I always like the back story in this author's books . . . tales of Norway and in this book, of Lithuania and its people . . . good story, good resolution . . . anxious for the next installment . . .
Is there anything more annoying than a Who is the lead character in a detective story? William Witting, the protagonist of Closed for Winter, is remarkably dense, oblivious to evidence in his possession, exposing himself and his adult daughter the personal danger, and pathetically "sensitive" to the plight of a band of common thieves. Other reviewers have commented about "interesting social commentary." In reality, the extended forray to Lithuania was entirely predictable and a complete waste of time; Victor Hugo did the whole JeanValjean thing better. The narrator does an admirable job is pronouncing Norwegian, Danish, and Lithuanian surnames and place names (whether correctly or not I have no idea), but his delivery is more akin to a bunch of upper-class middle-age British gentleman discussing their common interest in philately in a London club than a senior police officer interacting with his colleagues. The translation also leaves a lot to be desired. Who refers to a computer screen as a "monitor screen"? All in all, this was a very disappointing listen. I regret not only wasting the credit but also 10 hours of my time listening to this book. First time I have come across this author. It was very well narrated, but to me it lacked suspense. i might try this author again if I saw really good reviews. The reading was perfectly fine, but the story was a plodding, predictable and clichéd procedural with characters that lacked any defining qualities. I'm sad to have wasted the money on it. It's okay, it's nice, it's detailed and would make a good tv show but it's just that! Nice! Twee and a bit dull. Worth a listen and Saul narrates brilliantly as always but I'm sure even he must of got a bit sick of all the praising and perfect police work. Awful narrator, supposes no-one ever watched CSI! Plods on & on with some poor old chap dragging up a story; other voices used by narrator rather emasculates other detectives. Story OK but very basic. does not imagine reader has any previous scientific information (CSI, other authors stories). Book could shortened due to readers pace & chapter pauses by @ least 1.5 hours. Great book to fall asleep to! The story was a little lacking in excitement and suspense, not helped by a slightly stilted narration.